Scroll Wheels in Autodesk Inventor and AutoCAD. They can behave the same! As the Autodesk Manufacturing Academy (AMA) gets closer, I find myself pretty busy. But I still wanted to share a tip, even if it's short. Here's a simple tip that sometimes comes up when I'm training my Inventor Essentials class. It's most often encountered with users who have to constantly switch between Inventor and AutoCAD. "Can scrolling in Inventor and the scrolling in AutoCAD made to match?" 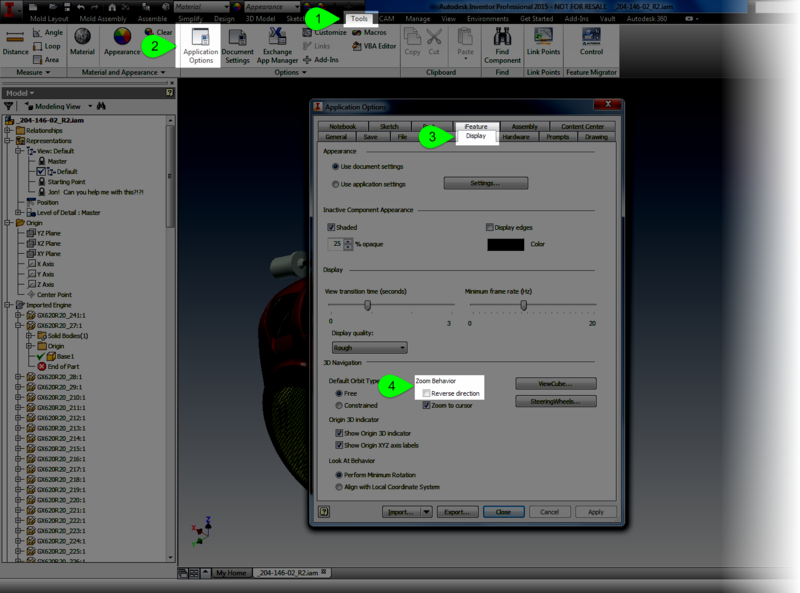 That's right, by default, Inventor and AutoCAD don't scroll in the same direction. I've been told that's because one program views the geometry as moving toward the camera (or user), the other one views the camera (or user) moving toward the geometry. I don't know if this is true or not. But it at least sounds good. More importantly, there's a way to make them work the way an individual user (that means you!) can make each program match. First, in AutoCAD, type ZOOMWHEEL. Change the setting to 1 or 0. Use whichever suits your preference. Locate Zoom Behavior, and set that to the preference you like. Everyone is a little different, but between these two variables, you can get them to do what you want, and get them to be consistent about it! In the meantime, I'm back to getting ready for AMA! I've still been in a loop of training, getting ready for training, and preparing for KETIV's AMA event on October 29th. Like many people, I cringe at an overused buzzword. I really cringe when I hear myself saying them. So on a break, took some common buzzwords from the link here and created Star Wars equivalents of them. Once again, Vader wins manager of the year. Why? Why not? I just needed to have a little fun I suppose! In any case, on a random whim, I decided to share them. There's no "Inventorness" here today. So feel free to keep moving. Or, take a couple of minutes and enjoy my slightly warped humor. Perhaps if enough of us start using them, we'll create a 'paradigm shift'! 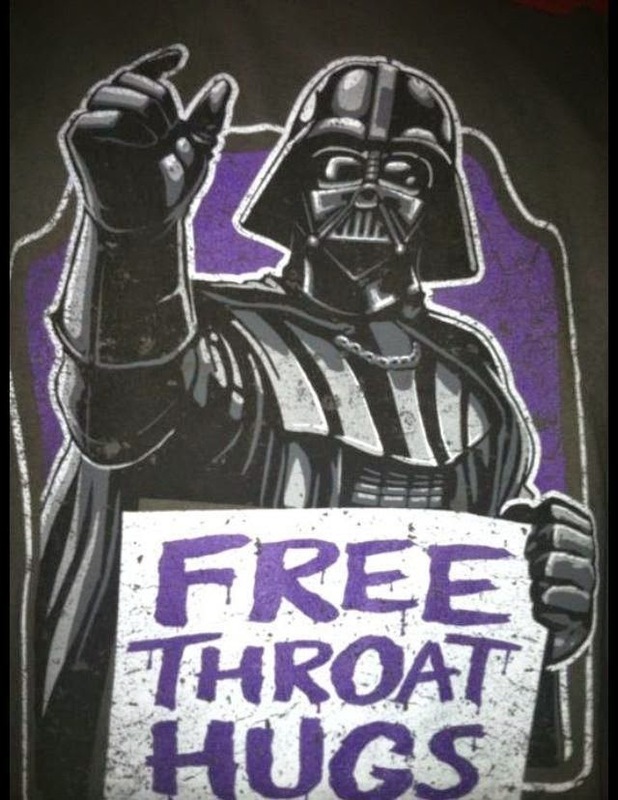 "Reach out" - "Force choke". "Take off line" -"After we exit hyperspace"
"Shift our goal posts" - "Redeploy our stormtroopers." "Socialize documents" - "Set a course for Mos Eisley"
"Monetize" - "Make like Boba Fett." "Downsize" - "Feed to Sarlacc"
"All in effort" - "Send the Death Star"
"Accelerate" - "Jump to hyperspace"
"Thought Leadership" - "Jedi mind tricks"
"Button up" - "Encase in Carbonite"
Like I said. This is just for a little fun before I put my head back down and start working again. Hope you enjoyed it, and I'm working on some more "real" blog posts soon. Do you have a few, feel free to add a comment! This month is KETIV's Autodesk Manufacturing Academy event in Cerritos, Ca, and surprise, I've been pretty busy. I have a couple of posts in the queue, but I just haven't quite had the chance to wrap them up. But I work on them for a few moments when I can, so I hope to have them soon. To tide everyone over a bit, I wanted to share a video from Tolar Manufacturing. They've been using Autodesk Inventor for some time now to create their transit shelters, and I've been fortunate enough to work with them. Look for the "Inventor cameo" in the video! It's a great example of how computer aided design software touches our daily lives, often without us knowing it!